Families fleeing the advance of ISIS militants have been stranded for months in northern Iraq. Many escaped with little but the clothes on their backs and have been squatting in abandoned or unfinished buildings. They now find themselves ill-prepared to face the coming winter months, when low temperatures could plummet down to the freezing point. 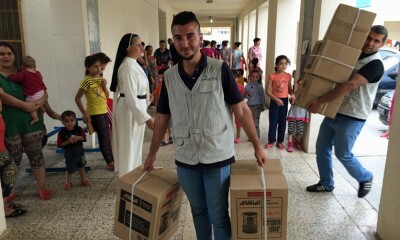 Samaritan’s Purse has already addressedHelp Victims of Persecution in Iraq some of their needs recently by providing more than 3,100 kerosene heaters and over 20,000 blankets to displaced men, women, and children seeking refuge in and around the cities of Erbil and Dohuk. These items will benefit more than 5,800 families, and 80 tons of further relief arrived in northern Iraq on October 16. Samaritan’s Purse is providing 2,500 kerosene heaters and other winter supplies for Iraqi families forced to flee by ISIS terrorists. Included in the 80 tons airlifted from Charlotte were children’s clothing, jackets, socks, blankets, and sleeping bags. Four hundred rolls of heavy-duty plastic (800,000 square feet), which can be used to insulate the tents and unfinished buildings where families are living, were also onboard. 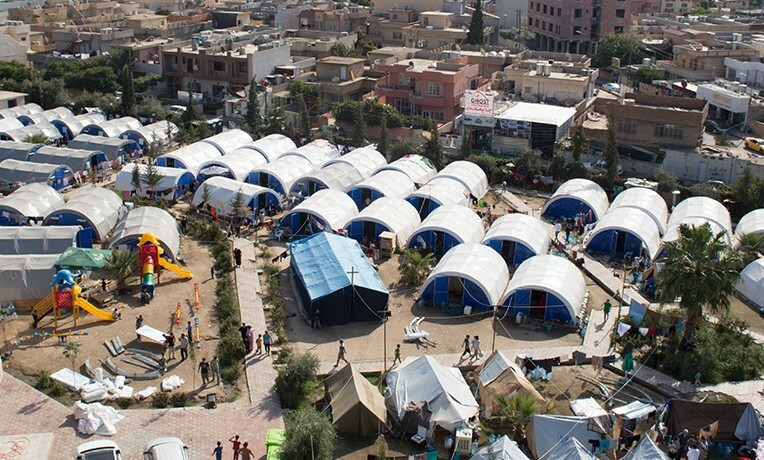 Samaritan’s Purse has been aiding displaced families in northern Iraq since June, particularly with food supplies. In early August, after ISIS tightened its grip on villages surrounding Mosul (the Nineveh plain), we immediately increased the size of the response to help meet urgent needs among the flood of people who entered the Kurdish semiautonomous region. One of our first actions was to set up 200 tents as temporary shelter in Erbil for some of those fleeing the Christian town of Qaraqosh. Since then, Samaritan’s Purse and local partners have provided a variety of relief to those displaced by the horrific violence. Our work continues to grow, and beneficiaries include those from Christian, Muslim, Yazidi, and other backgrounds. Almost 3,800 baskets of food have been distributed. Each basket is intended to supply the basic needs of a family of five for one week. Seven hundred loaves of bread and 140 1-kilogram packages of fresh chicken have also been given to grateful beneficiaries. Nearly 5,000 pillows and 7,500 mattresses have been provided to displaced families. More than 1,000 sets of baby/children’s clothing have been given out along with 175 cradle beds, which offer infants protection from biting ants on the ground. In addition, 500 cases of diapers, 1,110 items of adult clothing, and more than 4,500 pairs of shoes have been distributed. 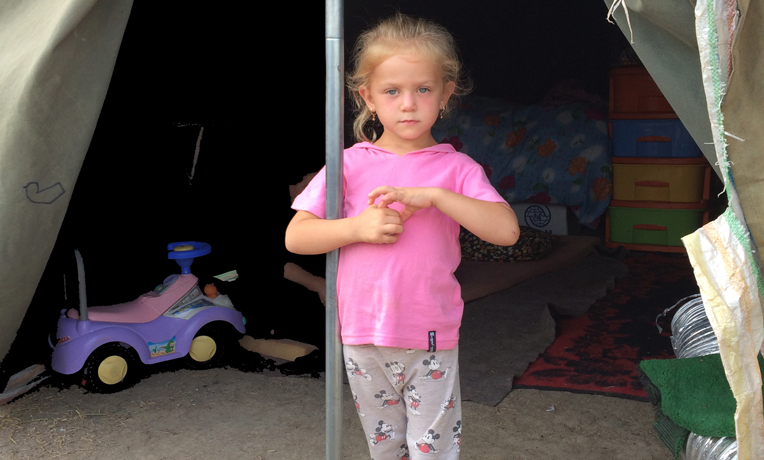 FLEEING FOR THEIR LIVES: Read more stories from persecuted Christians fleeing Qaraqosh. Also, we have distributed more than 3,300 shoebox gifts through Operation Christmas Child to displaced children in Erbil. 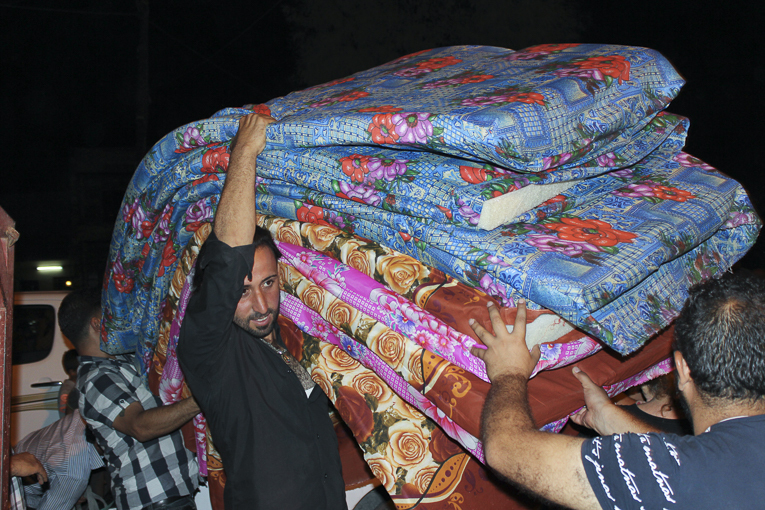 Thousands of mattresses have been given to displaced families fleeing ISIS jihadists. Many Christian families have been glad to receive Bibles from Samaritan’s Purse, and local church partners are reporting historic opportunities for witness. Our recent work builds upon longstanding efforts to help those in need in northern Iraq, a region where we have been actively offering relief since 2007. For instance, as refugees from the now 3.5-year-old civil conflict in Syria flooded into the area late last year, Samaritan’s Purse provided them with food, medicine, clothing, bedding, and kerosene heaters, among other items. Alongside this work, about 65,000 Operation Christmas Child shoebox gifts were airlifted to Erbil in January. Please pray for strength and wisdom for our staff and partners as they continue to help in Jesus’ Name. Pray for calm and order as some ad hoc settlements in Erbil are being transitioned to United Nations camps outside the city. Pray for all of the estimated 800,000 Iraqis forced to leave their homes since June and for many to be saved. 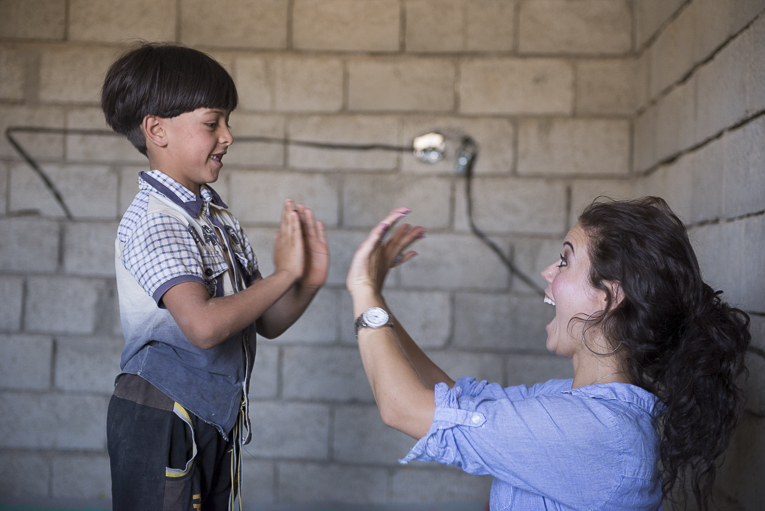 Playing with children who have been traumatized is an important part of our ministry in Iraq.